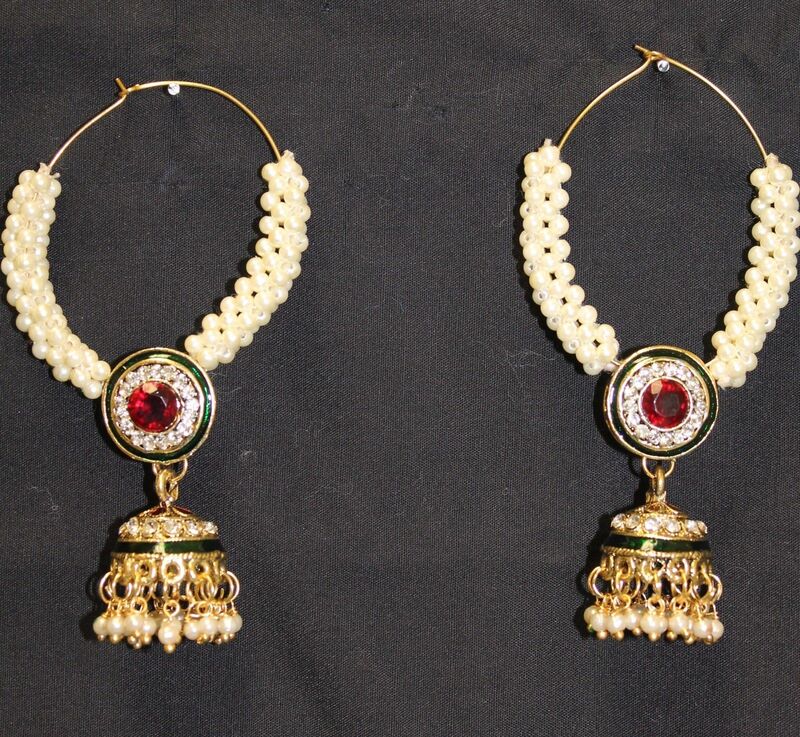 Pair of Gold tone Jhumki Earrings, encrusted with Red stones and Pearl Beads. This item in Earrings & Jhumkas category was first added to our catalog on 04-05-2019. Buy Golden Red Designer Pearls Jhumki Long Earrings, sold & shipped by Shieno Boutique where you can shop online for Latest Sarees, Salwar Kameez, Shawls, Jewelry & Clutches. 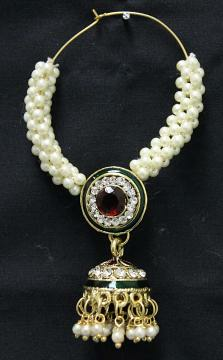 This Jhumka Earrings collection has been tagged as fashion jewelry, ornaments, artificial costume jewellery, jhumka earrings.